Open Rehearsal takes place on April 1 and 2 from 4:00PM-7:00PM. 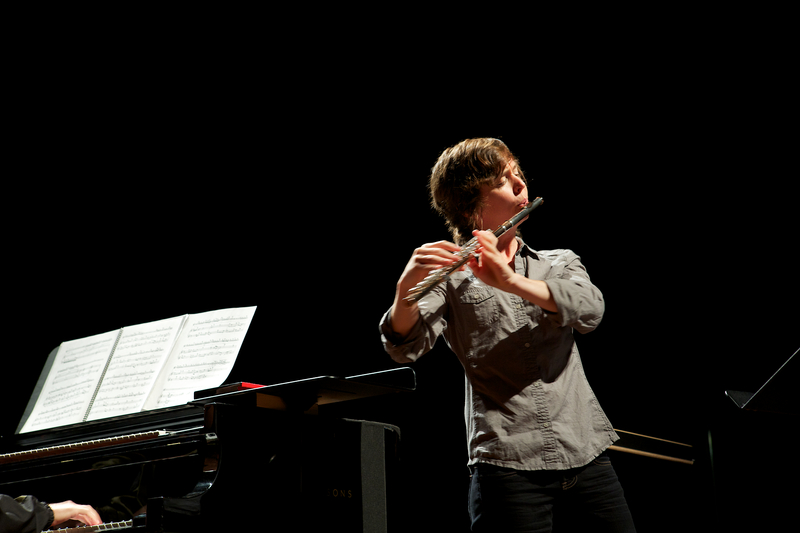 This spring, the Hammer museum collaborates with Center for the Art of Performance at UCLA to offer open rehearsal space to MacArthur Award-winning flutist and cultural activist, Claire Chase. In preparation for her much-anticipated April 4 performance in Shoenberg Hall of the immersive 70-minute Cerchio Tagliato dei Suoni (Cutting the Circle of Sounds) by Salvatore Sciarrino, Chase will coordinate a rehearsal of over 100 flutists of all ages and levels of proficiency, giving Hammer visitors a rare glimpse into the development of an immense performative work. More information about the performance at CAP here. Parking: Under the museum, $3 for first 3 hours, with validation (cash only). Validation available at the Welcome Desk in the Wilshire Lobby. $3 flat rate after 6 p.m.